What may be causing the leaves to be like that? Please help. There are fly maggots inside the leaves between the top and bottom layers. Protected by the leaf's own cells, spraying does not help. When mature, they drop off into the soil where they pupate. 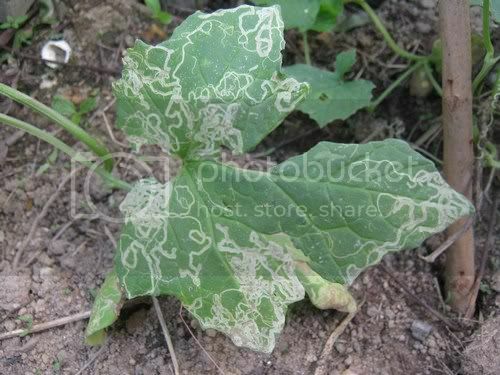 So the best course of action is to use scissors to cut out the doodles as soon as you see one start for minimum leaf loss ( obviously, try not to cut as little leaf veins as possible ) In case of serious infestations like these, remove the entire leaf. Dispose in the trash, not in compost. applestar wrote: DOODLEBUGS! A.k.a. 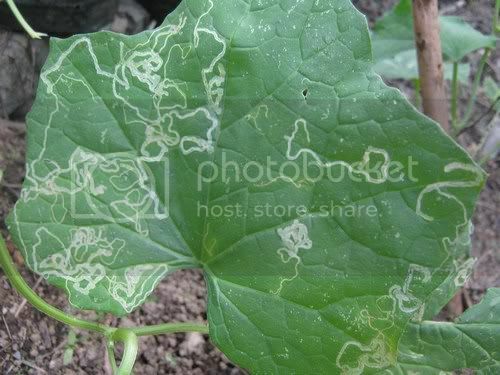 Leaf Miners. Thank you applestar I 'll follow your suggestions to tackle the fly maggots. Tomato leaf problem, Need Help!